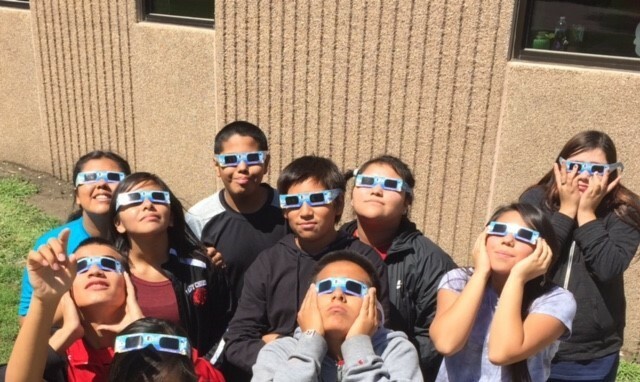 Last week Mrs. Kneifl’s eighth grade class watched the Solar Eclipse. It had happened on August 21st, 2017. All of North America caught a glimpse of it. The Solar Eclipse is when the moon passes between the sun and the earth. The moon had completely covered the sun and the sun’s tenuous atmosphere. The longest period when the moon would block the sun was for two minutes and thirty seconds. This is the second time the U.S will experience the Solar Eclipse. The last time it passed by was in 1979. Oregon was the first to see it and South Carolina was the last to see it. You can never look at it directly, or it will damage your eyes. However there are glasses you can use to look at it. They’re made out of large pieces of card stock, scissors, a roll of tape, and a pen.